I started writing Intrepid Daily when I realized that I wasn’t leading the life I was meant to. Instead of excitement and adventures, I was wrapped up in routines and schedules. Don’t get me wrong, there’s definitely a place in life for a routine, but I believe that our lives should be more than just habit. We’re meant for more than just going to work, coming home, watching TV, and then repeating it again the next day, ad infinitum. There was part of me, deep inside, that had an innate sense that there was more to life, but for a long time I had talked myself out of digging into that. “I’m too busy,” I would say, or, “I don’t have the money to go on an adventure right now.” I talked myself into sitting on the couch and accepting mediocrity. Then, almost by happenstance, I read Microadventures: Local Discoveries for Great Escapes by Alastair Humphreys, and the scales fell from my eyes. 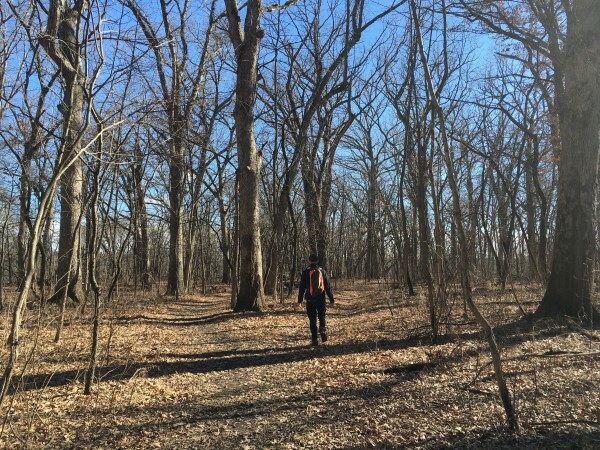 A microadventure is an adventure that is close to home: cheap, simple, short, and yet very effective. It still captures the essence of big adventures, the challenge, the fun, the escapism, the learning experiences and the excitement. Anyone can have a microadventure, and they can have it right away. You could even have one this weekend. In fact, you should have one this weekend. Because adventure stretches us, challenges us, allows us to step out of our comfort zone. It’s fun, but it’s also developmental; adventure allows us to evolve into braver, more capable versions of ourselves. Any success we wish to achieve in our life, an adventurous spirit can help us reach it. To have an adventurous spirit, one must become an adventurer; and the secret to becoming an adventurer is to go on adventures. Adventure can and will change your life, and there’s no better time to start than now. In Microadventures, Humphreys gives 38 examples of easily accessible adventures that you could take with minimal expense, little to no previous experience, and without a lot of your time. To be fair, many specifics of the book are geared towards England, but that doesn’t mean that the American reader won’t get anything out of this book. In fact, I would argue that this applies even more to us in the States; we’ve got much more wilderness available to us, even if we have to go a little farther to get to it at times. Use his examples as a starting off point, and replicate them in your own backyard, neighborhood, or nearby State Park. The ideas Humphreys presents are transferable to any locale. In addition to the sample microadventures, Humphreys gives other useful advice, like how to sleep outside for the first time, how to find locations for microadventures, how to plan your own, what gear you’ll need, what you won’t need, and how and where to bed down for a worry-free (or less worry-filled) night of sleep. I’m also particularly fond of the brief section on “Excuse-Busting.” Because busting excuses is exactly what we need to do! If you don’t have an adventure after reading this book, it’s not because you can’t, it’s because you’ve chosen not to. Don’t take it from me, take it from Alastair Humphreys; the man who spent four years bicycling around the world, completed a 150 mile race across the Saharan desert with a broken foot, was part of a team that rowed unsupported across the Atlantic Ocean, and who was named the National Geographic Adventurer of the Year in 2012. That’s the man who’s telling you that you can and should have a microadventure. I’m just the guy who’s agreeing with him. Well, I’m also the guy who’s challenging to you have one this weekend, and tell me about it in the comment section. So what do you say, are you ready to give it a shot? 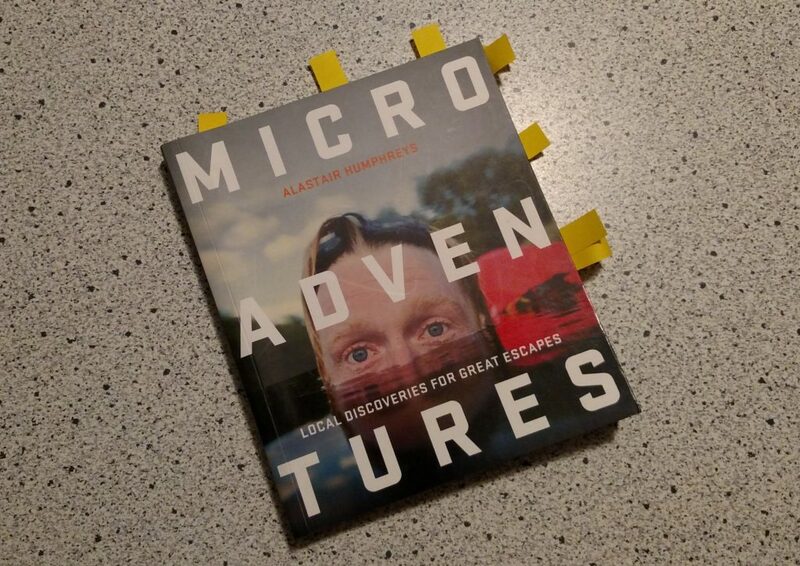 You can pick up Microadventures on Amazon or at your local library, and you can head to Alastair Humphreys’ website for more great ideas. Some of the microadventures I’ve had include taking day trips, solo camping on the weekend, checking out local attractions, and hiking at every opportunity! These are all things you can do inexpensively this week. The only thing stopping you now is yourself, so let’s get out there and be intrepid! True that – even your local state park is an exotic location from somebody’s perspective. Seems like just trying something different can be an adventure. This weekend I’ll try home brewing beer using a partial mash technique, a slightly more advanced process than I’ve used before. Does that count? It definitely counts! Trying something new and challenging is an adventure! The upside of your weekend’s adventure will be tasting it when it’s all done fermenting. I used to do some home brewing, but you’re experimenting in a level well beyond my experience! Let me know how it turns out. I think of every time I go for a walk as a micro adventure – it’s a matter of keeping your mind open and fresh as well as your eyes and ears. Agreed. I think along those same lines. It’s making sure my mind and body are open to the novel, different, and perhaps the weird. It is, for me, a question of being curious about the world. Which none of this is to say that I don’t see value in, or desire, longer more arduous journeys. I simply don’t want to limit myself. This is practically the same reason why I also started my blog a few months ago! I love being out and exploring and the constant routine lifestyle is one that I am not too fond of either. I have always wanted to travel far and wide but unfortunately that also costs a lot of money. However, in the past few years, I have realized that I don’t need to spend a lot of money to see new places and try new things! I think one of the biggest mistakes we can make is thinking that we should just wait until we have money and time. There’s no guarantees that we’ll end up with paid vacation time and money to spare. Cheers to seeing new places and trying new things!